Yuzu and Sudachi trees are amongst the hardiest of all citrus. 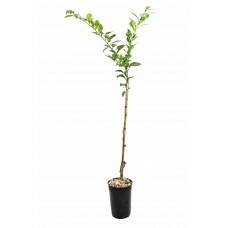 We offer trees grafted on to rootstocks that make them suitable for European climates. In the case of yuzu we offer two distinct rootstocks individually optimised for outdoor and indoor growing. 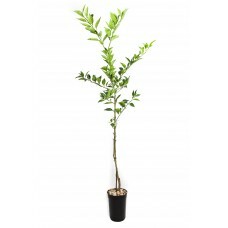 All trees stand 100-120cm tall (including pot) and were grafted a minimum of 18 months ago. They are expected to produce their first flowers next spring. Fruits ripen throughout the year ready for harvest during October – December. The juice and zest of the fruits are widely used in Japanese cuisine to flavour ponzu, soy sauce, miso, honey and chilli paste. They also make excellent additions to drinks providing a uniquely powerful and tart citrus flavour; yuzu combines the flavours of lemon, grapefruit and mandarin while sudachi is more akin to a sour, peppery lime. 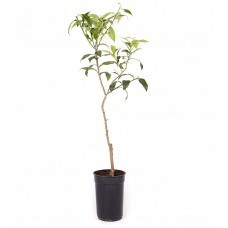 These trees are grafted on to a very hardy, deciduous rootstock that will survive temperatures down ..
Grafted onto a vigorous rootstock (C. Macrophylla) these trees are fast to establish given the corre..